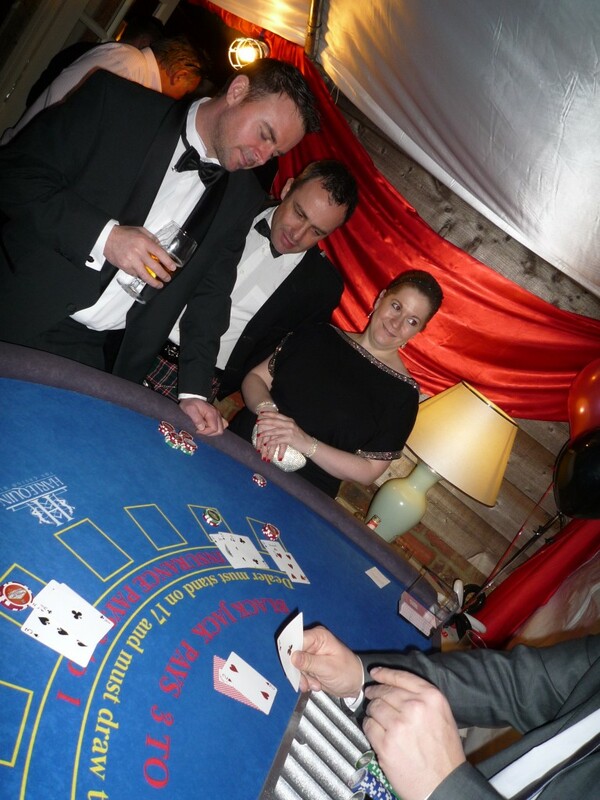 Harlequin Fun Casino have full size, authentic and professional fun casino tables to hire for any event. Along with the tables, we supply all accessories including playing cards, chips, and fun money, and each table is run by a smart, friendly professional croupier for the duration of the night. We play for fun, so there’s no real gambling. It’s a great way to learn to play the games without worrying about going bust! Casino games are a lot of fun to play, and are irresistible to all ages. There’s nothing quite like a fun casino to entertain your friends, family or colleagues. People often expect a disco or a singer, but a fun casino is a real treat for your guests! Our croupiers are really friendly and are always happy to explain the rules of any of the casino games to you and your guests. A fun casino is designed to be fun, so our croupiers make sure everyone is able to play and nobody feels they can’t join in, including old and young. We welcome children to play on the tables so long as they have their parents permission and are supervised during play. If you’re looking for something really unique for your wedding, party or event, you can’t go wrong with a fun casino. 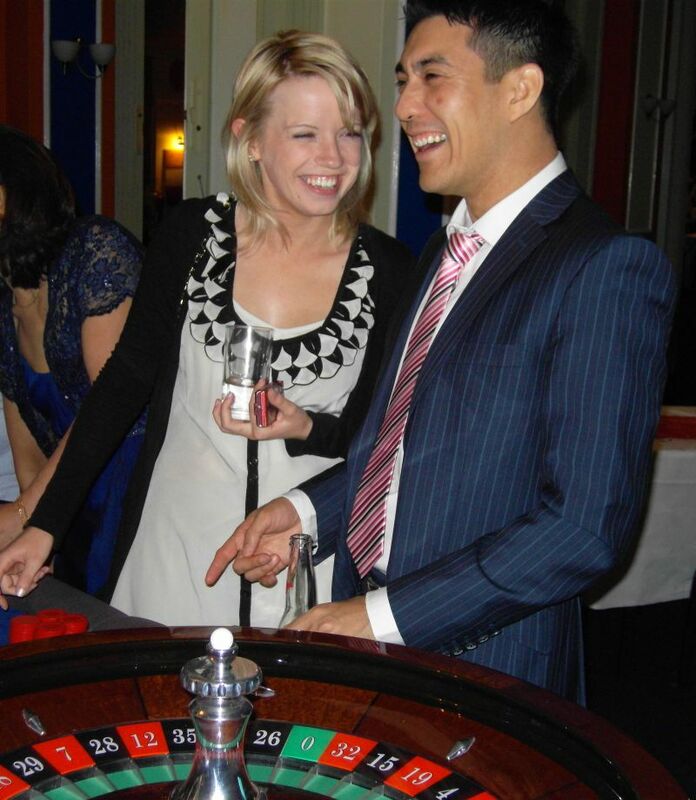 Casino games are appealing to all ages and both sexes, and always go down a storm at an event. Fun casino tables are a great way to entertain people, and a perfect alternative if you’re having a disco for those of your guests who don’t like to dance. It doesn’t matter if you don’t know how to play – we’ll teach you! If you’re organising a party, a wedding or an event, you’ll want to make sure that you hire professional, friendly people who you can rely on to make your event a success. We understand the importance of being reliable and punctual. We always ensure we arrive at a venue in plenty of time so that you can relax and enjoy your evening. We’ve never ever let a client down yet, and we don’t intend to. Our service is professional, personal and polished. We understand how important it is that your event goes without a hitch, and we’re the right people to trust to do the job properly. We pride ourself in offering an excellent service and a superior product at an affordable price. We love what we do, and it shows in the attention paid to our clients and our staff. Our Fun casino tables are exactly the same as real casino tables, the only difference is, ours break down into smaller parts so that we can move them from one venue to another with slightly more ease than real casino tables! At a fun casino, guests play with “Fun Money” and no real money changes hands, so it’s a great way to learn how to play the games without the fear of losing lots of your hard earned cash! We’ll hand out the fun money before the gaming begins, so that in their own time, your guests can approach the casino tables and exchange their fun money for casino chips to be used in play. We can even offer a prize at the end of the night for the “High Roller” of the night, as decided by our croupiers at the end of the casino night. The better the prize on offer, the more the competition between the guests heats up, which makes for an even more fun night! It’s up to you how you want to decide on a winner, but the most popular way is for our croupiers to take note of any “High Rollers” throughout the evening. At the end of the night, the most impressive player, wins the prize. The tables we use are complete, which means we do not need to use normal tables to rest a table top on like you may have seen before. We have the full set up including strong Mahogany legs and full size baize table tops which attach to the legs. All we need is a bit of space to set them up. When you hire Harlequin to organise your fun casino night, you can be sure you’re in for an easy ride. We’ll contact the venue to work out the finer points such as parking, set up times and access to the building so that you don’t have to worry. We can even organise the rest of your evening entertainment too so that you only have to deal with one company. When you hire a fun casino for your event, you can be sure you’re offering your guests riveting entertainment that everyone can enjoy! Book your party date in our diary today to avoid disappointment!